If a private home is not livable or you simply want to alter to a significant degree, the best way out of this situation is the reconstruction. Please note that some types of repair work it will be necessary to confirm officially received special permission in certain instances. It is important to understand that renovation, remodeling and major repairs are completely different processes. Overhaul is replace old materials used in the construction of houses, on new. In a broad sense, the overhaul is a complex of construction and Assembly works, the purpose of which is to improve housing conditions and specifications of the house. Redevelopment is the so-called changing configurations at home. The most common actions in this case are moving walls, doorways, window frames or various manipulations with them, such as the expansion or contraction. If you have received a refusal from the public authorities for the reconstruction of a private house, it is possible to appeal or file a new document with a different plan changes structure. 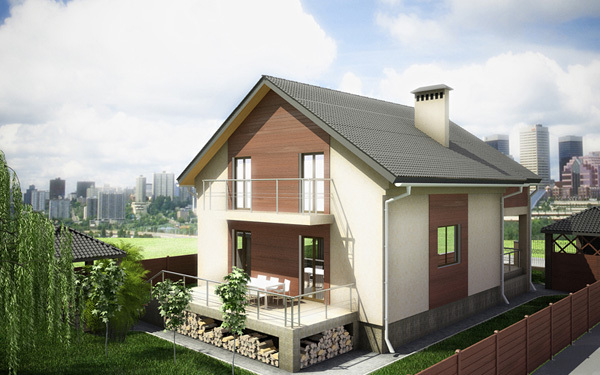 Reconstruction is an almost complete change of the parameters of a private home and its technical characteristics. In this case, carried out actions such as add-ins, new floors, building extensions to the main unit, the addition of new engineering systems and communications. The main point in this case – bearing structures should not be replaced completely, they should only be repaired. The main elements of reconstruction is the addition of new premises, but saving thus the foundations of the previous construction of the house. Reconstruction of a private house is a complicated kind of work for which you will have to obtain a special permit. For this is written the corresponding application to the regional governments. To the main document you will need to attach a plan of the new building after reconstruction. Such claims are reviewed, usually within one month. If you demolish the wall, and then erect it in your new place is remodeling. If attached to a private home summer kitchen or porch, this process is reconstruction. The procedure for obtaining approval for the reconstruction is governed by the provisions of the town planning Code of the Russian Federation. Among the mandatory documents submitted to the authorities include notarized copies of documents confirming ownership of private house and land, permission from the district administration, which is subject to the area where is located the building design documentation, a certificate from the BTI, as well as a topographic plan. In addition, you will need to collect additional information and permissions. For more information you can contact your district or city governments. A renovation of housing involves a wide range of construction activities: in partial modification of the home to its full restructuring. It is sometimes difficult to distinguish between the repair or remodeling of the house and the actual reconstruction. The difference is primarily in the degree and nature of the changes. Determine the final goal of perestroika at home. You need to create a clear image of the new housing that you are going to get in the end. Otherwise, the reconstruction would be unduly prolonged and become a "unfinished." Knowing what you intend to transform your current structure, you can more clearly plan the stages of work and purchase all the necessary materials. Calculate the costs for restructuring the home. The proceeds from the specific situation. If you have purchased the construction started, it may be a prerequisite to reconstruction. About half of the construction cost is the cost of the Foundation and load-bearing walls. Therefore, a complete restructuring of this unfinished structure is unlikely to be justified. If you bought a house under "finishing", it is possible that the building was designed without taking into account your preferences and needs. 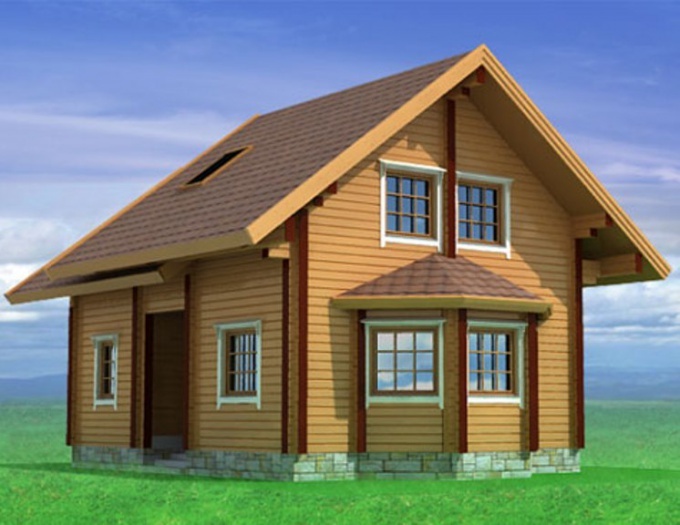 Calculate in this case what will be the cost of rebuilding a home to suit your tastes coupled with the cost of possible complete reconstruction of the house. Restructuring may include the decoration of the facade and interior, outhouse, garage or porches, small alterations to the premises. In some cases, the cause of the adjustment at home is the desire to transform the look of the bland appearance of the house. Under this option, limit facade, changing the roof, the introduction of additional architectural changes (e.g., towers). In order to preserve the landscape design of country houses using frame-panel technology, allowing compact and neat to store building elements and to prevent the accumulation of debris. Carry out a thorough survey of the actual condition of the structures at home. It is advisable to order professional expertise for the technical examination of the building – this will help to reduce financial risks to a minimum. For the drafting of future restructuring of the house invite the architect, having experience of similar work. After the development of project documentation coordinate it with the appropriate authorities. Now you can go to immediate work on the reconstruction of the house. Start rebuilding from the Foundation, since it could be a weakening of the masonry or the reduction of the bearing capacity of the soil. Because inherent in the project of reconstruction of the house changes can increase the load on the Foundation, consider the expansion of its soles. To increase soil density and bearing capacity, run it cementing, utrambovyvaya gravel or device piles. If rebuilding the house involves the construction of an extension to the house, provide the correct conjugation and widening of the existing foundations. Do not tie tightly a new design to the old, this may lead to distortions and cracks. To strengthen the walls use the frame structure of metal construction. Possible extension of the new masonry along the entire surface of the walls, with old walls attach to the new masonry anchor bolts. The last stage of the restructuring of the house – roofing. If the significant deterioration of a roof, remove the coating and perform a full reconstruction of the roof. If you are going to build on the attic, and adjust the truss system. If the defects of the roof is unimportant, limit the replacement of damaged sections and painting. Reconstruction of houses required in the case of alterations, increase capacity, and the total area of the house, changes in the quantity and quality of the premises. For registration you need to obtain permission for the reconstruction, and for this to collect a set of documents. Decide what you are going to produce in your house fall under the category of reconstruction. Reconstruction involves changes at homethat violate the safety or rights of third parties, or exceeding the limit parameters of permitted construction. Before carrying out work on reconstruction of the contact to the local authority in your region for the issuance of permits for construction and reconstruction. In it, you can get the sample application for the reconstruction and recommended a list of documents and consultations. 9. if the house belongs to several persons, you need notarized consent of his. the co-owners. In some cases, may require additional documents. After receiving permission for the reconstruction and execution of complex of works on reconstruction will receive a permit for introduction house in operation. For this you need to apply the same authority to which you applied for the permit for reconstruction. It is necessary to attach a document certifying that the building is reconstructed according to the specifications, design documentation, and also permit reconstruction of the house, the documents of title to house and land. After obtaining permission for commissioning of the reconstruction can be considered decorated.